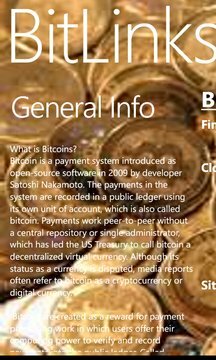 There are many talks are about bitcoins but what is it and how do you get into it. This app will give you a jumpstart into bitcoins with links and resources. It's a fast way to getting into it all and start your bitcoin journey while have some fun with free money!